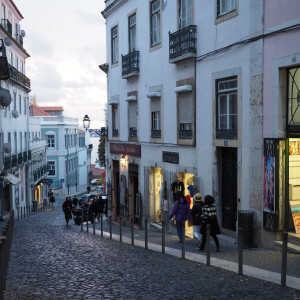 Situated high on a hill, with expansive views overlooking the River Tagus, lies the Alfama district, Lisbon's old town. 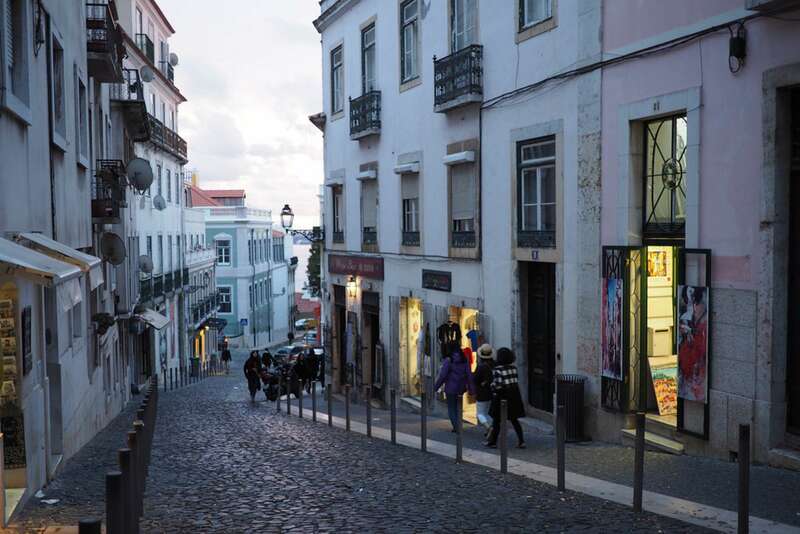 As the oldest neighborhood in the city, Alfama has witnessed everything, from Phoenician settlers to Euro integration. 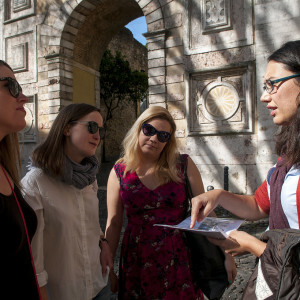 During this 2.5-hour walking tour of Alfama and Lisbon's Old Town we'll join a local historian with deep expertise in Portuguese history. 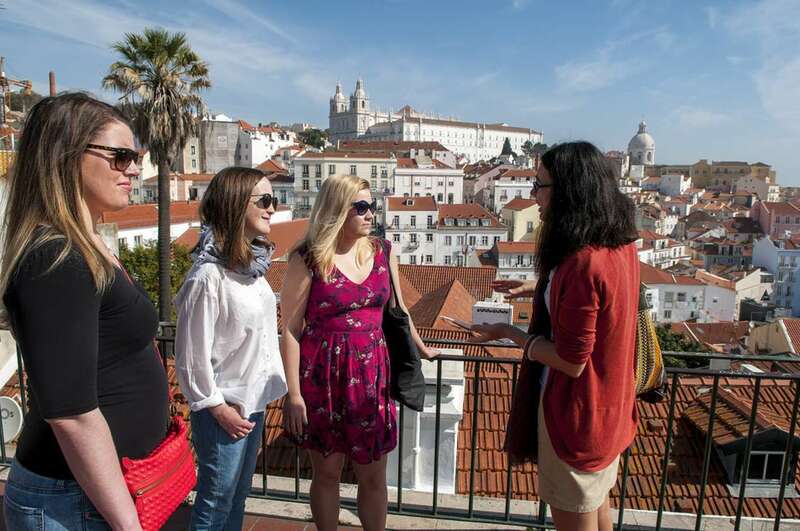 We'll explore the nooks and crannies of Alfama including visits to São Jorge Castle, Lisbon Cathedral, and Miradouro das Portas do Sol. Along the way we'll touch on such key themes as Moorish rule and influence, Lisbon's working class, and of course Fado music and culture. 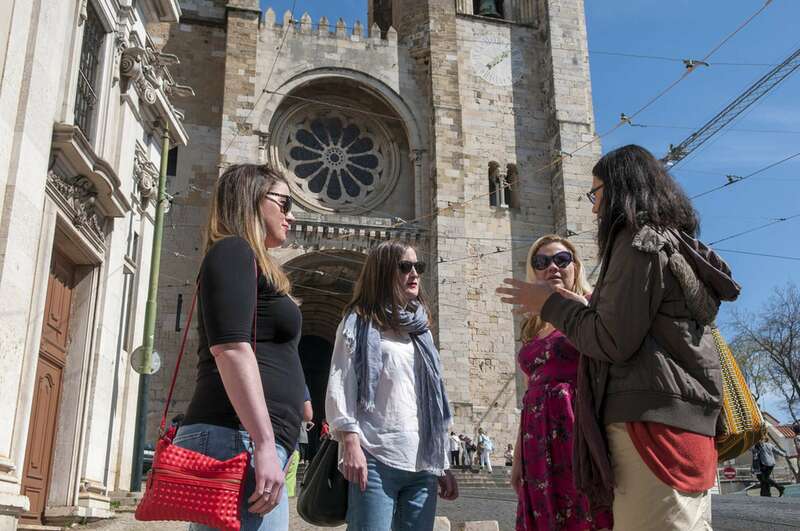 This tour is nicely complemented by our 2.5-hour Introduction to Lisbon Walking Tour, which includes the central Baixa, Chiado, and Bairro Alto neighborhoods. 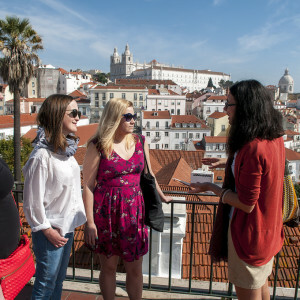 Meeting in the Praça da Figueira in Baixa, we'll journey with our docent by elevator to the top of Alfama Hill. Here we'll find the splendid São Jorge Castle, one of Lisbon's top visited sites. Much of what exists of the castle today was constructed during the Moorish occupation of the 10th and 11th centuries. 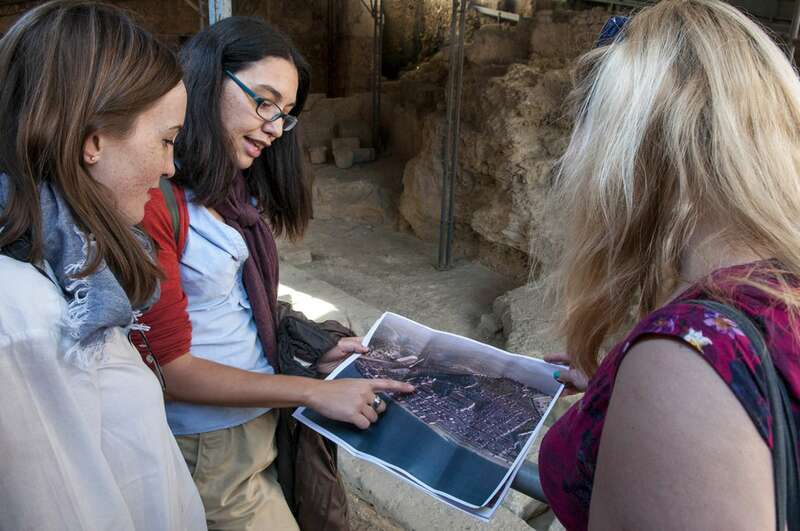 However, there is archaeological evidence that fortifications have existed on the site as far back as the 2nd century BC when Phoenician traders settled in this area. 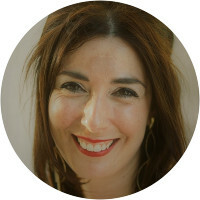 Our docent, a trained historian, will discuss the early history of Lisbon and how Moorish influence can be traced through architecture and design throughout the city. 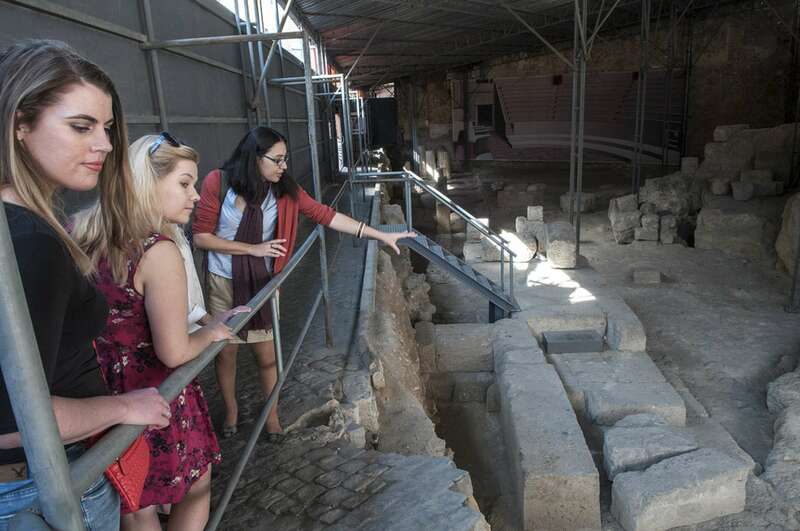 Continuing our stroll further into the neighborhood, we'll uncover other archeological ruins, such as the Roman theatre, which will help us to understand the palimpsest that is Alfama. 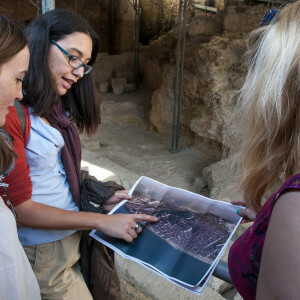 "We liked that the focus of the tour was the history. We got to see many of the less-crowded parts of the area, and learn about how [it] developed." We'll soon find ourselves at the Miradouro das Portas do Sol, one of the most iconic lookout points in Lisbon where we can take advantage of its sweeping views of Alfama to point out some of the principal structures in Lisbon's skyline, and we'll look at contemporary and historic maps to make sense of its maze of narrow streets before moving along on our tour. 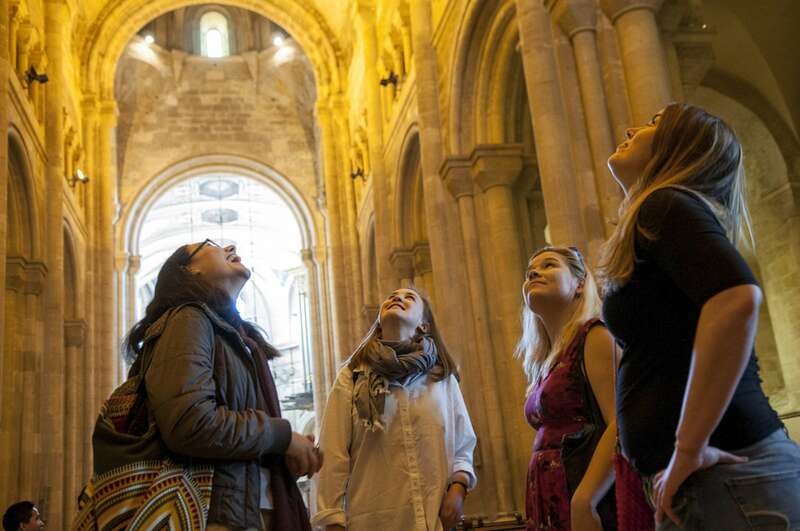 At the Lisbon Cathedral, or Sé, we'll segue into discussion of the Christian experience during the Moorish occupation, as well as the period following the 1147 reconquest. 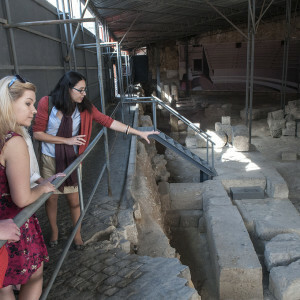 Construction began on the church, the oldest in the city, that same year, though its architectural identity has changed over the centuries with modifications made necessary after various earthquakes. 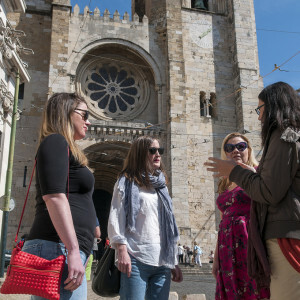 The building also provides an opportunity to talk about Alfama and Lisbon in more recent times. During our walk, our conversation will most certainly turn to Fado. 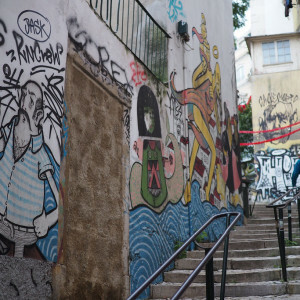 One of Portugal's best known exports, this genre of music is said to have originated in the popular port districts of Lisbon, particularly Alfama. Raw, sultry, and often spontaneous, the songs of Fado tell the daily narratives of Lisbon's working-class. 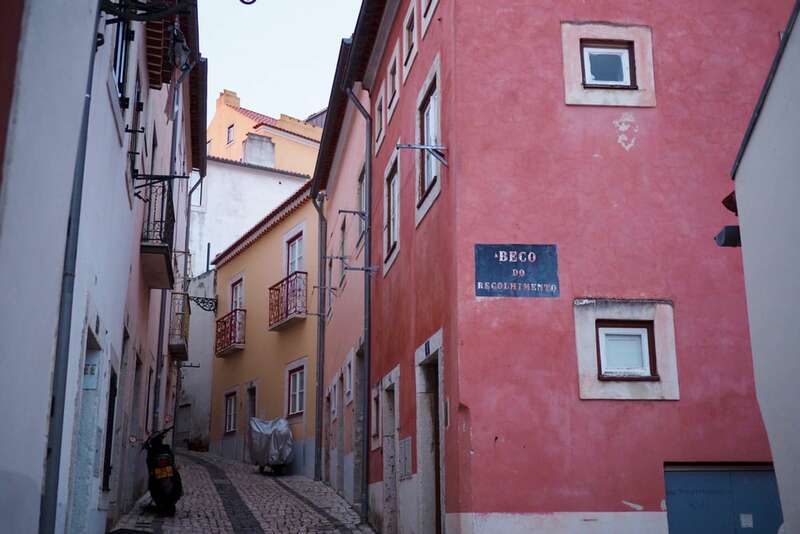 We'll pass by historic spots in the story of Fado, while our discussion covers the social significance of the genre and how it fits in with Alfama's greater history. 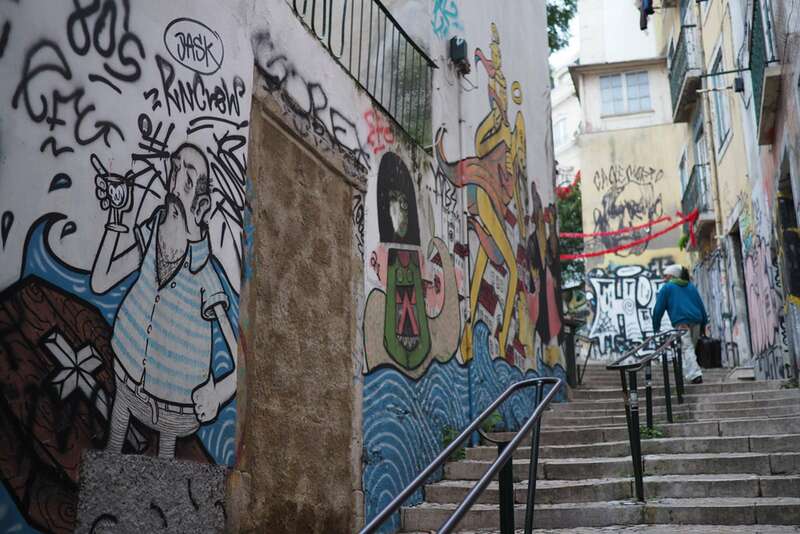 By the end of our time together, we'll have a better sense of Lisbon's origins and the personality of Alfama. Will we hear Fado on this tour? While we will most definitely discuss the origins and social significance of Fado music on this tour, we will not attend a concert. Does this tour include a visit to São Jorge Castle? 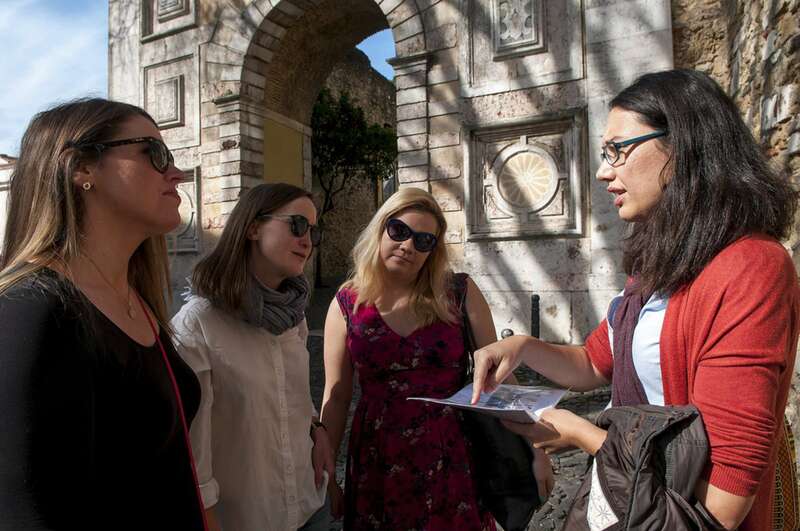 Our tour will meander through the streets of Alfama, incorporating some of its most iconic monuments, like the São Jorge Castle. We will certainly discuss the castle from its exterior but do not tend to include the interior. 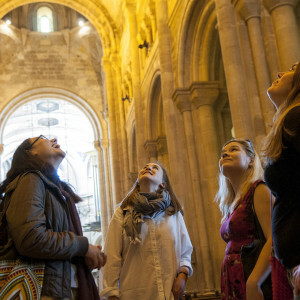 If you want to extend your tour to include a visit inside the Castle please contact us. What if it’s raining? Tours operate rain or shine. It never hurts to have an umbrella on hand. Is this tour walking-intensive, and/or wheelchair accessible? While we don't cover a large distance on the tour, nor do we take a fast pace, Lisbon is the City of Seven Hills and Alfama is no exception. We will be walking up stairs and inclines, as well as on cobblestoned streets. If you have mobility concerns, please feel free to contact us before booking; we can help you decide if our group walk or a private walk, with a modified route, will be best. 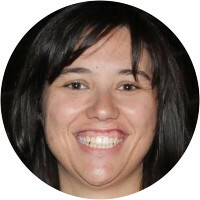 Bert is an architect and writer, and holds an MA in architectural engineering and cultural sciences. He is the co-director of "MovingCities", an independent research organization investigating the role that architecture and urbanism play in shaping the contemporary city. Bert has been an assistant professor in architecture at the University of Hong Kong Shanghai Study Center, where he taught a class on the architectural, cultural, and urban development of Shanghai from 1842 to the present. 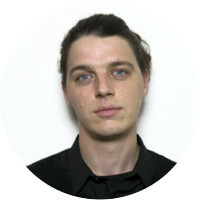 In the past decade he has lived and worked in Amsterdam, Beijing, and Shanghai before relocating to Lisbon in 2018. Very knowledgeable and entertaining! 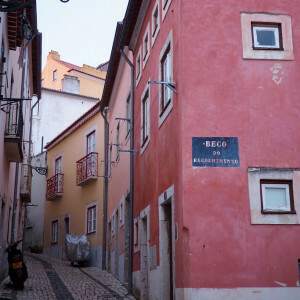 I learned a lot about the history of Lisbon and the surrounding regions. Absolutely great tour and guide. Loved the ending. I would give Tiago 10 stars if I could. He was interesting and insightful... pointing out things we would never have noticed. He was also very patient and considerate of this 71-year old woman with bursitis.